Dr Arun’s Pest Clinic is a leading pest control company in bangalore providing quality termite control services with over a decade of expertise, we are government licensed company and have successfully provided efficient termite treatment services for more than 3000+ Clients. Naturally termites are not a pest and their recycling of wood and other plant matter is of considerable ecological importance. It is only when they get into our house and start damaging its structure and wood; we consider them to be a pest. Stage 1 (during foundation): Treat the bottom and the sides up to a height of about 30 cms of foundation spraying the formulated chemical per Sq. meter surface area. Stage 2 (after completion of foundation): On both sides of the built-up walls treat the refill earth (width 30 cms and height 40 cms) per linear meter. Stage 3 (before lying of floor): Before sand bed and slab is laid on the floor, treat the top surface of the entire grayed and leveled earth within the plinth wall. Stage 4 (after completion of building): Treat the earth along the external perimeter of the building per linear meter. Wherever pipes and conduits enter the soil, loosen the soil for a distance of 15 to 7.5 cms deep and thoroughly drench it with the formulated chemical. Stage 1: Treatment to wall and floor junction: Holes of 8mm diameter 18-20 inches apart will be drilled along the inner junction of wall and floor at depth of 6”on the entire ground Termiticide solution will be injected under pressure into these holes to create barrier against termites. Stage 2: Treatment to wooden fixtures: Holes of 12mm diameter will be drilled at the base of wooden-fixtures such as window frames and doorframes adjoining the flooring and termiticide solution will be injected. This treatment will be carried out on all floors (except basements/Terrace). An oil-based termiticide will be sprayed on all the woodwork infested by the termites within the premises. Special care will be taken in case furniture attached to the wall as the termites can easily attack them. Drilling will be carried out at the base of all such fixture and termiticide solution will be injected. Stage 3: Treatment to termite tubes: Visible shelter mud tubes are first sprayed, to control the existing movement of termites. The mud tube will be then removed and treatment will be given to the infested area. Guarantee Period: For Post-construction the Guarantee period will be 5 years. Dr. Arun’s and pest clinic have immense experience in this filed and strive to offer effective pest control treatments in a timely manner. We ensure that our talented staff inspect the area which has been affected and take potential steps to solve your pest problems. Our products are highly demanded in the market for their excellent features like non toxic to humans and pets, environment friendly, do not discolor the walls, have no odour and many others. So don’t let a pest problem fester, call Dr. Arun for easy yet effective pest control services ! Subterranean termites (those most commonly seen in homes) are a similar size to a black ant except they are pale in colour. That’s why they are often called “white ants”. If you look closely, termites have two sections to their body while ants have three. Soldier termites have a slightly darkened, or brown, head. You will also see termites with wings, called alates. Sometimes confused for moths, the allates fly out from the colony in search of a new environment in which to reproduce and develop a new colony. Are termites covered under home insurance? How can I prevent termites? 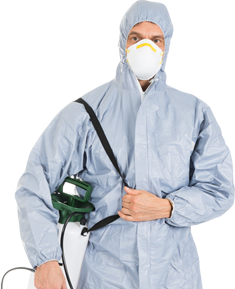 There are simple and very practical steps you can take to greatly reduce the risk of an infestation. Changes can be put in place easily, with possibly no cost to you. See our prevention tips. Termites cannot be effectively treated by a homeowner on their own. Pest control professionals have the training, expertise and technology to eliminate a termite infestation. Termites aren’t a pest which will be effectively treated by a house owner. A licenced pest management skills are ready to suggest a course of action counting on several factors, together with the realm of the country that you just sleep in, the dimensions of your infestation, the white ant species gift and your home’s construction.